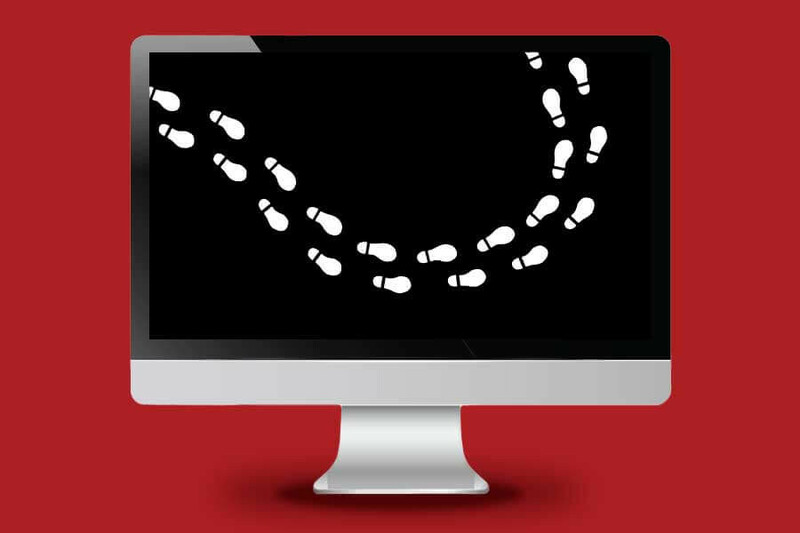 What is a Digital Footprint, and Why Should it Matter to You? Letter 13 Creative > Internet > What is a Digital Footprint, and Why Should it Matter to You? So what is a digital footprint? The name itself is pretty self-explanatory; as with any kind of footprint, it shows where you’ve been and where you’re going. In this case, however, it refers to your comings and goings on the internet. “But I cleared my browsing history!” you exclaim, wiping a bead of condensation from your brow. While you should understand that nothing you do on the internet is really and truly private, for all intents and purposes of this blog, your digital footprint has less to do with browsing and more to do with active participation in internet activity. Comments and discussions you have on social media or other websites, videos and pictures you share, and even links that you “like” are all part of your digital footprint. Everything you post, Tweet, email, etc. leaves a trail. Even so, does it really matter that you said something not-so-nice to someone you barely knew on a website you forgot, 12 years ago? It could. Let’s say you and said semi-stranger engaged in a heated exchange that made you come across as the playground bully: perhaps you felt like a winner walking away from the fight, but what happens when you’re up for the position of school counselor and head of the Anti-Bullying Committee at Anywhere Elementary and someone just happens to drag that conversation out of the murky depths of the internet? Here’s a hint: you don’t come off looking so hot. So what if you didn’t mean to come across as a bully? What if your comment was taken out of context? Unfortunately for you, once the comments are out there in cyberspace, they’re pretty much open to interpretation, which is a common issue with communication that is not accompanied by vocal inflection and facial expressions. The safest thing to do in the future is to make sure that your intentions are clear with every exchange and interaction. If there is a serious doubt about whether or not your comment will come back to haunt you, perhaps you should reconsider posting it at all. The fact of the matter is that once something is on the internet, it proves very difficult to remove. In fact, with today’s technology, even if you do manage to get down to the root of the weed and pull it up, who is to say that someone (or several someones) didn’t take a screenshot and spread the seed even further? Dandelions everywhere. To reiterate, your safest bet is to assume that everyone who views your internet activity is someone important. For instance, in making sure that all of your comments use proper spelling and punctuation, you are more likely to come across as well-educated. By making sure that your opinions are expressed in a polite and respectful manner, you allow a picture to be painted of you that echoes those values. Who you are online is just as important as who you are in person – perhaps more so because online, you may not always be there to defend yourself.